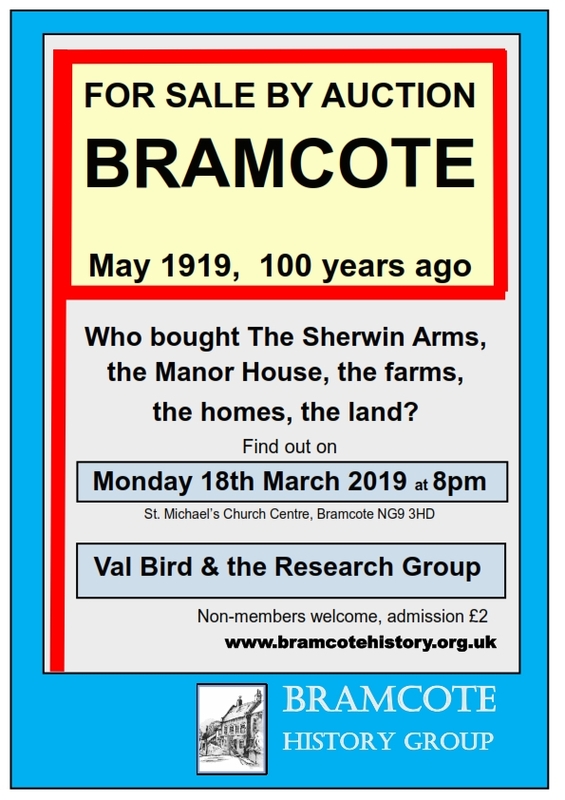 I’d like to say a huge ‘Thank you’ to Val Bird and her team at the Bramcote History Group for a fascinating evening on Monday learning all about Bramcote For Sale in May 1919. It was truly informative and extremely well presented. I learned such a lot about various estates and houses from large to small. Thinking about how Bramcote used to be gives a fresh perspective on how it is now. At least we have moved on from earth closets!